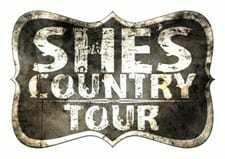 Paradigm Talent Agency and 343 Agency are partnering on an all-girl country genre club tour aptly titled, She’s Country. Presented by Pendleton Whisky, the first 13 dates will feature Heidi Newfield and Bridgette Tatum plus special guests. “Heidi and Bridgette both bring high-energy performances and a ‘let’s party’ attitude that are perfectly suited for these venues,” says tour co-producer and Paradigm Nashville co-head, Mike Snider.